The classic Sensible skirt is available in gorgeous Italian virgin wool. 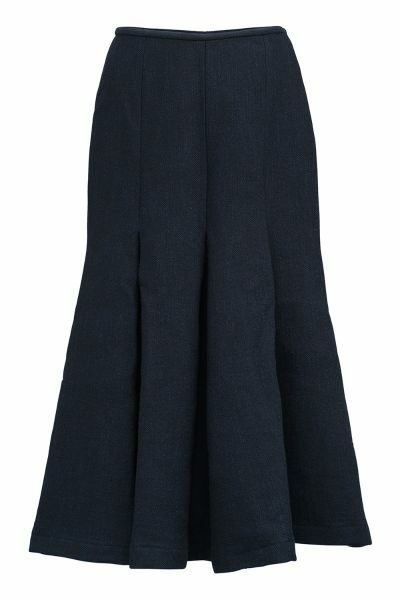 Designed to be worn with the Roselle jacket or the navy Cassandra coat, the skirt is ankle length and fitted around the waist. This gorgeous Italian virgin wool skirt from Cabbages and Roses is fitted across the waist and hips, flaring from the thigh to an a-line shape with structured box-pleats. The luxurious fabric ensures that this piece is warm and durable, and the full lining makes for extra comfort.